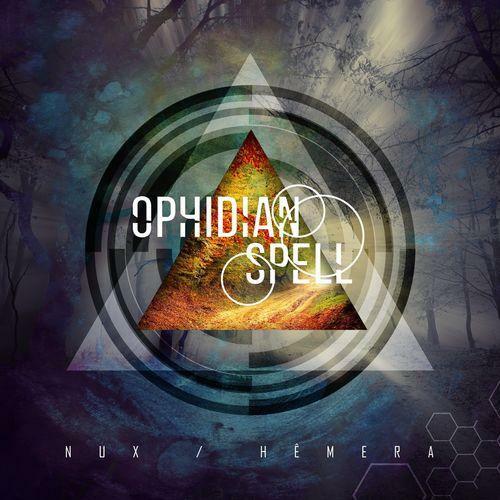 Combining aspects of melodic, progressive and symphonic death metal into their delivery, Ophidian Spell offer up the listener a modern blend of these various influences. I can hear aspects of The Faceless, Devin Townsend, In Flames, Emperor/Ihsahn, Ne Obliviscaris, Delain and Septic Flesh in the mix, along with some others. The album is very well-recorded and the production values appear to be quite high. With such a strong sound the band have no problem allowing the songs to breathe and inhabit the space given to them. Keyboard/orchestral enhancements are common and not overpowering, despite performing an integral role in the music. I like that a lot of it is on the darker and more choral/operatic side, showing off their use of orchestration well as it enhances the core of the music. There’s a decent amount of technicality on display here and it’s clear that the band know how to play their instruments. The songs are well-written and Ophidian Spell have obvious ambition and enthusiasm for their material. All the various facets of their sound fit together nicely, and both the songs and the album as a whole flow easily. There’s a good balance kept between heaviness, melody, bombastic orchestration and progressive touches, with none of these aspects being overly dominant for any one period of time. As I say – this is well-written stuff and the songs have obviously been practised and polished to a high degree of scrutiny. Like the music, the vocals are also really well-performed, with the singer’s voice having a nice serrated edge to it. He has a good high-pitched scream for this kind of music, and he suits the band’s material. His style reminds me Ihsahn’s in some ways, as his voice shares a similar quality. Occasional female and choral vocals also appear, equally professionally delivered. This is quite more-ish music; the album is a decent length at 49 minutes, but I’m still left craving more. I really, really enjoyed this. The songs on Nux/Hêmera hit the spot for me with ease, and I really like the fact that they combine the more melodic/symphonic side with a bit of real bite. This entry was posted in Death Metal and tagged Death Metal, Delain, Devin Townsend, Emperor, Ihsahn, In Flames, Melodic Death Metal, Metal, Ne Obliviscaris, Progressive Death Metal, Septic Flesh, Symphonic Death Metal, The Faceless. Bookmark the permalink.